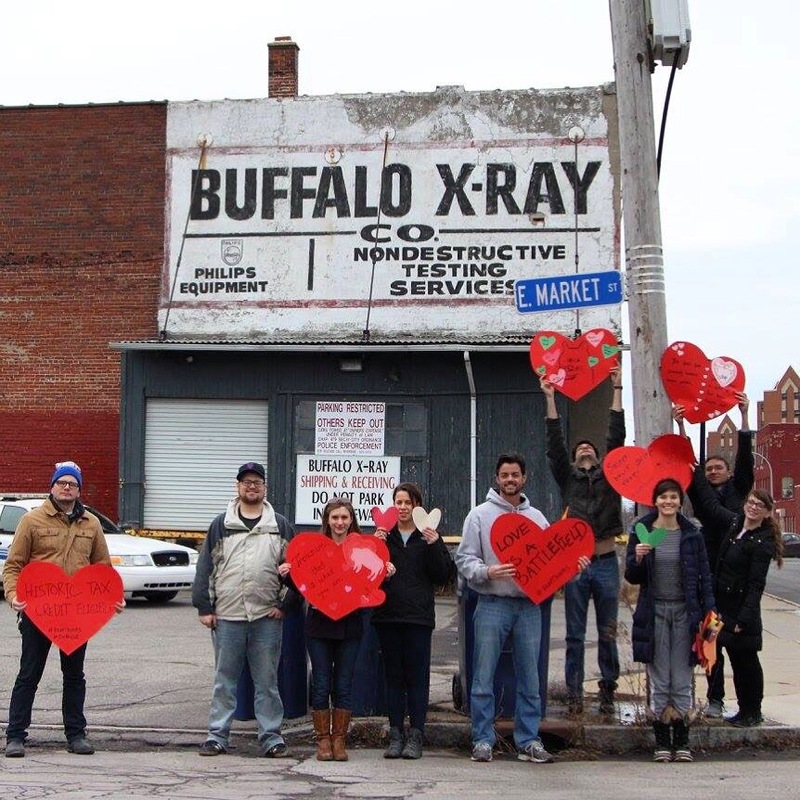 Buffalo’s Young Preservationists… 2016 Projects! – RBCoYP! Buffalo’s Young Preservationists… 2016 Projects! I, along with many millennial-aged Buffalonians who love architecture and history, help to save buildings from the wrecking ball every day under the advocacy group called Buffalo’s Young Preservationists. We’ve worked to save buildings of all sizes including Trico (where the windshield was invented), Wildroot (largest hair product supplier in 1940), an administrative building for our largest steel company, and many dollar houses that patiently wait for new owners to re-love them. We do things differently – plastering hearts on buildings, creating dynamic campaigns, and pushing for policy changes to enhance preservation of our historic neighborhoods. What’s on our agenda for this year? Here are just a few buildings we are trying to save. Follow our progress here! Wildroot : Thanks to Chrissy and Mark for taking the lead on this, Wildroot was listed this year as “Seven to Save” by the Preservation League of New York State. It’s at risk because the owner died and it’s in estate hell…the vacancy vortex is in full force!! We keep and eye on it by cleaning it up, painting it, and securing it from time to time. 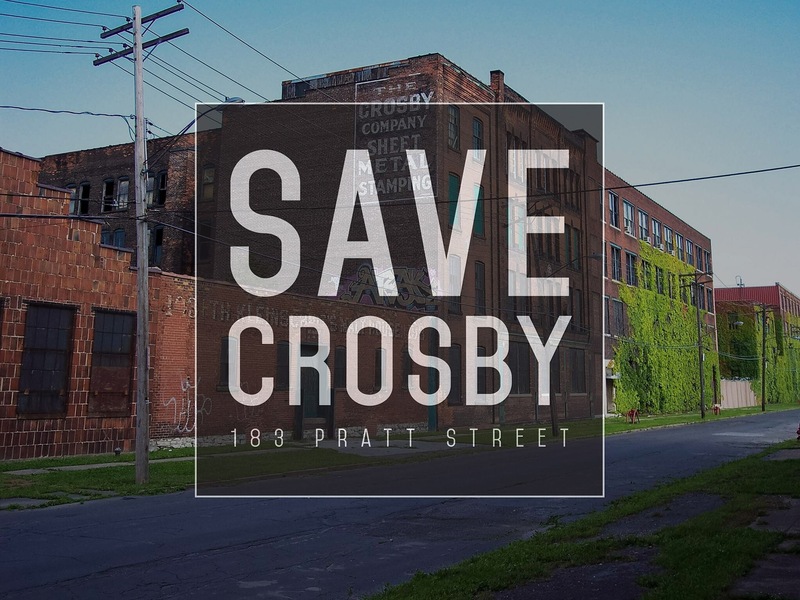 Crosby : Essentially every major applianceof the 20th century had its parts stamped at the Crosby plant. It’s up for demolition now because the owners were not aware of its potential ….but we’ve created a fun campaign and the owners are now looking into stabilization!! 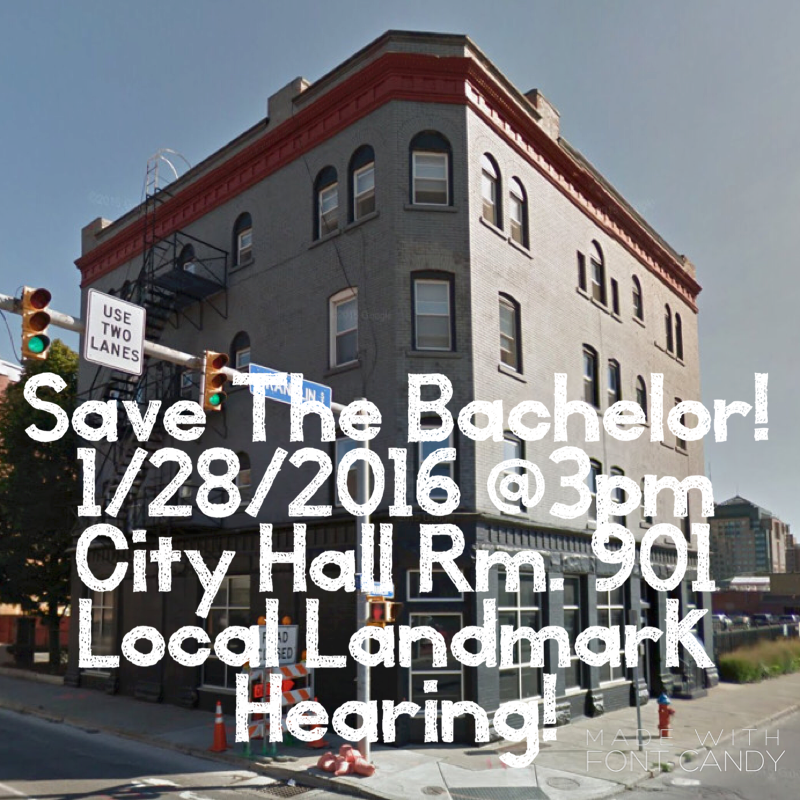 We go before the common council next month to fight for it to have local landmark designation! North Park Library: A historic library in an area surrounded by parking lots… This is up for demolition because it has been vacant for five years and a developer wants to put a new mixed-use building in its place. The library is really loved by the community! We’ve started a petition which has hundreds of signatures and we go before the common council on April 12th to fight for it to have a local landmark designation! The Bachelor: Buffalo’s oldest apartment building in downtown, the Bachelor was built for single working men (thus the name the bachelor!) It is in danger because a local developer wants to tear it down for a hotel and parking garage…While restoring another building in the process but removing this one. We go before the common council in April to fight for its local landmark designation. Other than that, we will likely do our happy hours, board and seals and other random fun things that we typically do every year!